Nicum's vacuum steam setter achieves unsurpassed anti-twisting performance, with 100 percent saturated steam that assures uniform treatment. 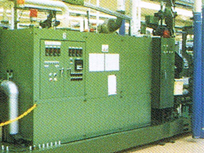 Our NICUM brand steam setter is now used widely overseas. 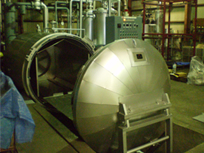 We produce a host of the equipment needed in the spinning and dyeing industry. Our products in this field include yarn conditioning setters that improve texture and strength, color setters for dyeing fabrics with bright, vivid colors, and continuous setters that provide a moderate wet heat for natural fibers. 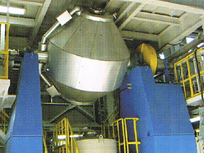 We also produce drying equipment for synthetic fibers.